Organic action plans are widely used in Europe as a means of integrating different policies that can be used to support organic food and farming. Examples of organic action plans can be found at www.orgap.org. In the UK, there were action plans in England from 2002-2007, in Wales from 1999-2004 and 2005-2010, and in Northern Ireland from 2007-2009. Currently only Scotland has a live action plan, launched in March 2011, which can be found at http://www.scotland.gov.uk/Publications/2011/03/14093552/0. There is also a European Organic Action Plan, mainly focused on the development of European organic farming regulations, which can be found at http://ec.europa.eu/agriculture/organic/eu-policy/action-plan_en. 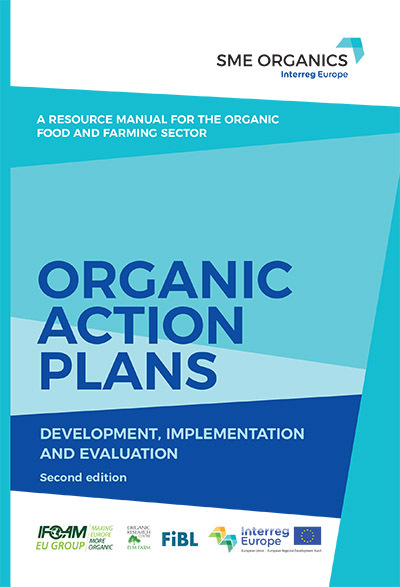 The EU-funded ORGAP research project, which involved staff now at ORC, produced a lay-person’s guide to the development and implementation of organic action plans. This manual is also available in printed form from FIBL and ORC, as well as an Organic Action Plan Evaluation Toolbox (ORGAPET). If you have views on the relevance or otherwise of organic action plans and their current status in the UK and Europe, e-mail us at comment@organicresearchcentre.com. We may put comments on this page – let us know if you would prefer us not to.